Max Holloway vs. Dustin Poirier II was not what most fans expected in Khabib Nurmagomedov's absence. Nurmagomedov remains determined to sit out for a full year in solidarity with his suspended teammates, Zubaira Tukhugov and Abubakar Nurmagomedov, and led the UFC to arrive at the decision to make an interim title fight in the meantime. 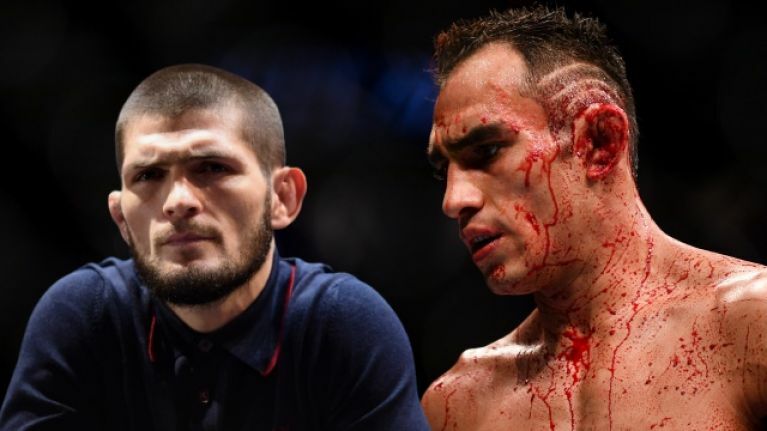 Tony Ferguson was the logical choice, being ranked just behind Nurmagomedov at lightweight and going undefeated for close to seven years, but 'El Cucuy' reportedly turned down the opportunity to become interim 155lbs champ for the second time in his career. Holloway and Poirier will instead compete for the interim title in the main event of UFC 236, with the winner likely to meet Nurmagomedov in a unification clash towards the end of the year. That means that the wait for Nurmagomedov vs. Ferguson will drag into 2020 and the undefeated Russian has criticised Ferguson for refusing the fight with Holloway. "I want to remind you guys, that before I become champion, I was close to the title fight 3 times and all 3 times I missed my opportunity," Nurmagomedov wrote on Instagram. "First was in July 2016 when I was offered to fight in Ramadan month and I turned it down, second was UFC 205 NYC when I was offered a title fight, bout agreement signed, but my title was given away, you know the story. Third time was UFC 209 where I was hospitalized and almost died. "But after every single fail I were said: you missed your chance, earn your shot with one more victory. "Tony you had your chance and you missed it, and that’s your fault only. You know that I’m disqualified and can’t fight, but it’s not fair to strip me off the title, I fought 3 times in 9 months. I won and defended my belt. "As a fighter you deserve a title fight, you are great fighter and opponent, but now you have to fight or wait for my DQ to be over and fight(but UFC doesn’t want it). I don’t understand your offenses, if you fell down, you got to get up, not complain."